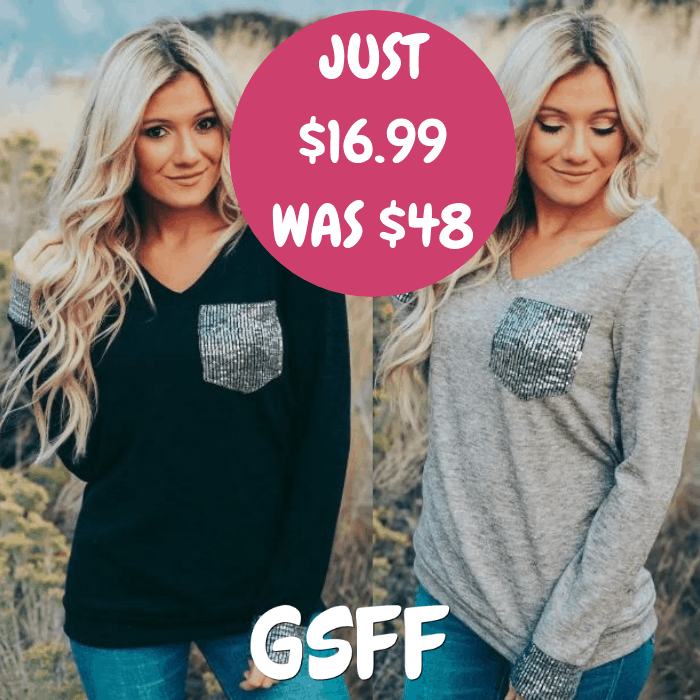 Sequin Detail Sweaters Just $16.99! Down From $48! Shipped! You are here: Home / Great Deals / Sequin Detail Sweaters Just $16.99! Down From $48! Shipped! This deal expires on January 12! At Jane, you can score these Autumn Sequin Detail Sweaters for just $16.99 down from $47.99 PLUS FREE shipping! Soft sweater with sequin detail pocket and cuff. Stylish and with relaxed fit. Runs true according to chart. If in between, we recommend sizing up.